Prices & packages that make you smile! 7 hours of professional wedding day coverage. A DVD with your high-resolution, professionaly edited image files. A Personal web gallery so you can easily share & view your images for three months. Engagement session or one extra hour of coverage on your wedding day. *2,000 Euro credit towards your beautifully designed, Italian-made wedding album. 6 hours of professional wedding day coverage. 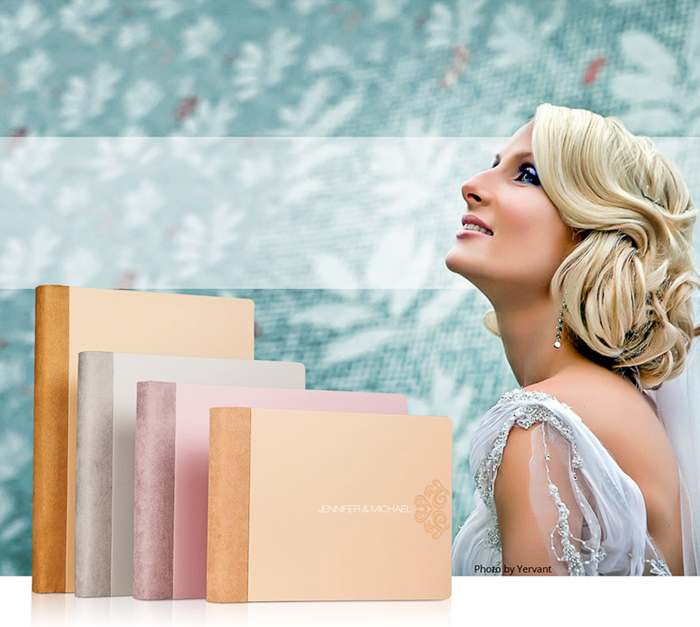 *1,000 Euro credit towards your beautifully designed, Italian-made wedding album. 5 hours of professional wedding day coverage. A Personal web gallery: so you can easily share & view your images for three months. Why wedding albums? It's a common question these days. With phones, cameras and hard drives doing the work of storing photos, putting things on paper seems a bit antiquated. 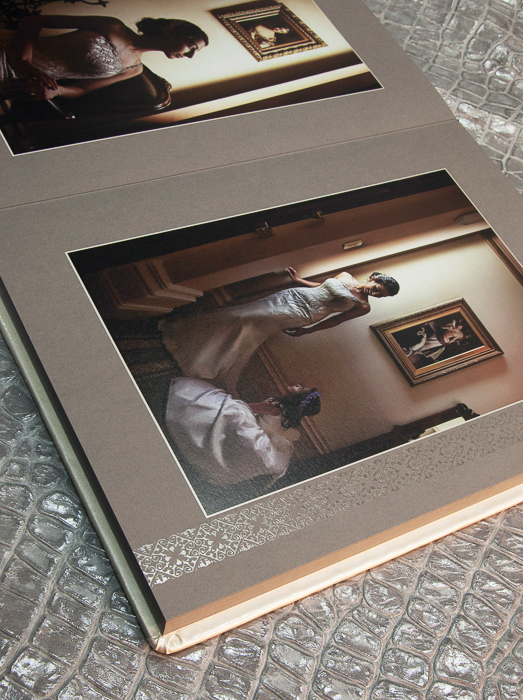 As convenient as the digital world is, selecting a premium wedding album is the only way to ensure your photographs last forever. Computers die. Phones and cameras become outdated. 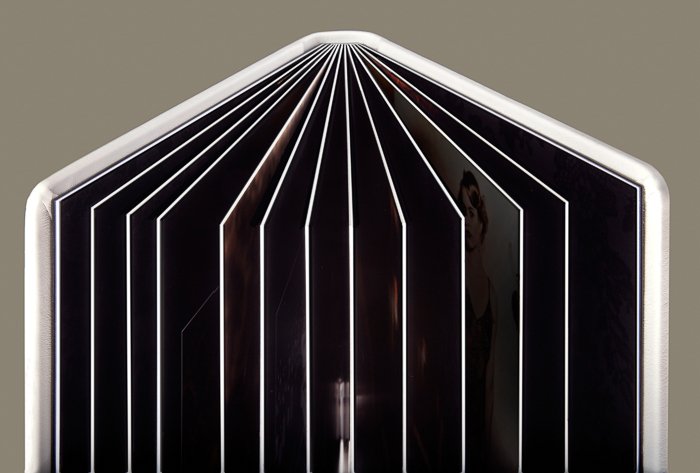 Even with the emergence of do-it-yourself photobooks, couples are rarely willing to put in the six to seven weeks of planning and organizing it takes to pull off a truly memorable album. When you are cherishing the happiest day of your life, there's hardly time to spend countless hours in front of your computer screen selecting, editing, resizing and reorganizing phots. 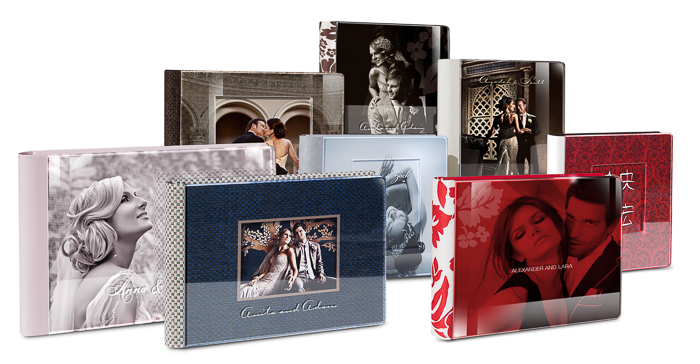 Hand-crafted albums made with Italian style and quality. 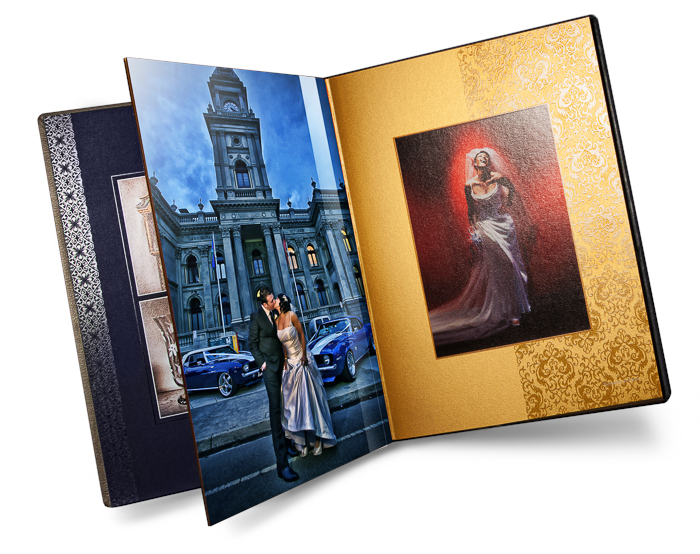 High-quality pages made with durable, thick photographic paper. Beautiful covers crafted from leather and other material. Expertly designed binding that stands the test of time. Professional print quality for vibrant, sharp photos. A 1000 euro credit is equal to 28 pages for small books, 22 pages for medium books and 18 pages for large books. This 1,000 euro credit serves as a starting point for your album, as most albums my clients choose contain between 40 and 60 page. I create a first draft that I consider the ultimate album. It includes all the best photos from you big day. I send you the draft, and we work together to add or subtract pages. 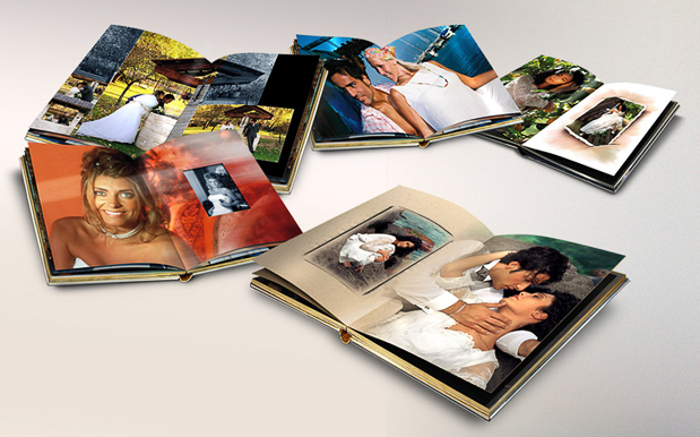 Depending on the season, you'll receive your wedding album about 6 to 8 weeks after your wedding. You can remove pages or purchase more credits to complete your album as needed. Copies of your wedding album are available at a 20% discount. My engagement photography sessions are focused on one thing: capturing the joy you feel as you begin a new adventure with your better half. Take a look at the packages below to decide which combination works best for you. Up to 4 hours of shooting. A private car with a driver for shooting at multiple locations. Personal beautician to keep you looking your best at all times. DVD with your high-resolution image files and a personal web gallery to easily share and view your images for three months. Up to 2.5 hours of shooting. Up to 1.5 hours of shooting. Full coverage of your event. Options to create souvenir 10x13 (cm) pocketbooks for 5 € each. DVD with your high-resolution image files and a personal web gallery to easily share and view your images up for 3 months. Barcelona is the perfect place to bring your loved ones together for an afternoon of photographs which capture the spirit and joy of your family. Up to 2 hours of on location shooting for up to 12 people. The following high quality fine art prints (all sizes in cm): One A3 collage print with the best images of your session, four A4 prints, ten 13x18 prints, twenty 10x15 prints. Personal beautician to keep everyone looking their best at all times. Up to 1.5 hours of on location shooting for up to 6 people. The following high quality fine art prints (all sizes in cm): Two A4 prints, five 13x18 prints, ten 10x15 prints. Up to 45 minutes of on location shooting for up to 5 people. What kind of ink do you use? Photo ink is part of the secret to the longevity of your photographs. The ink I use is rated to last 200 years. What kind of paper do you use? We use the best type of paper we can find for the type of photos you request: specific sizes, specific weights, long-lasting and unbleached. What's a photo collage? Photo collages are single sheets of photo paper that include a series of small photos that tell a story: your young child sitting, then standing, then walking, then laughing. Can't I print photographs at home or at a store that are just as good as what you do? I invest my resources into my ink, paper and photography gear so that when you hire me, you know you're getting professional-grade photographs that I edit and retouch, one by one. Typically, photo stores and online services automatically print your photos without taking the time to perfect each photograph.